PALM SPRINGS, California -- A maintenance crew had slowed down traffic on a California highway through the night, and the work had gone on for hours without problems. 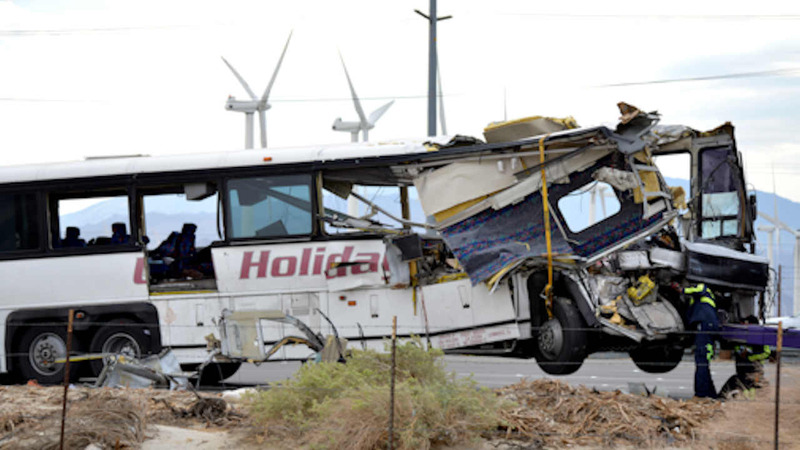 Then a tour bus returning to Los Angeles from a casino trip slammed into the back of a semi-truck. Passengers who were asleep on the bus woke up to loud screams and the sound of crushing metal. Sonia Anderson said the family who lived there - a man, woman and their college student son - had lived in the apartment for about 17 years. She said the father generally drove the bus and his wife and son would sometimes travel on the bus with him.